Brian graduated from Virginia Tech with a BS degree in exercise science. While at Virginia Tech, he worked with the athletic teams to gain his first experience in rehab and sports medicine. 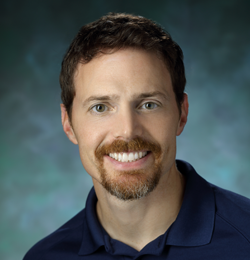 Brian continued his education at Marymount University where he obtained a Masters in Physical Therapy. Since finishing his graduate work in 1999, he has worked in orthopaedics and sports medicine facilities in the D.C. metropolitan area. Brian joined our practice in April of 2005. Brian enjoys working with runners, injuries of the neck, foot and ankle. Brian helps to identify an patient’s “weakest links” that would hinder their performance and place them at a higher risk for injury or pain. Once the “weakest links” for an individual patient are identified, a customized plan is created to help address and correct these faults. He believes in teaching each patient how to gain control of their individual conditions and quickly return to their activities.